Tomato worms, also known as tomato hornworms are not guests you want in your garden. 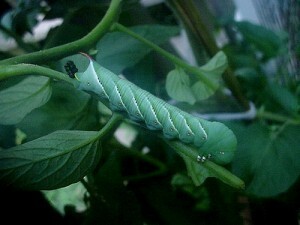 They are 3-4 inches long, green, and fat, with a distinctive horn on the back end. 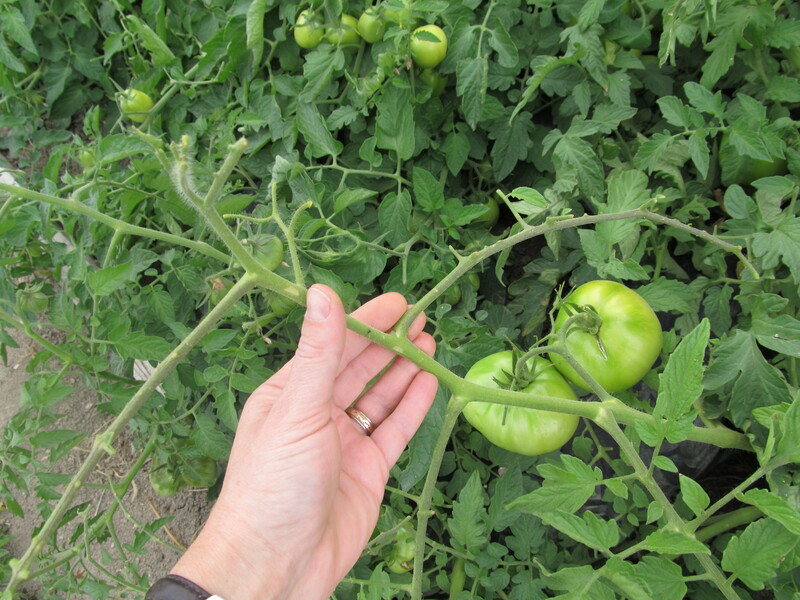 Here are two signs to look for to know if you have tomato worms on your tomato plants. 1. Missing leaves and fruit. 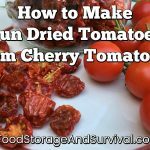 You’ll see branches of your plant that have been eaten clean of leaves and small fruit. One worm can eat a lot, but if you have many branches that have been eaten on, you may have more than one worm. 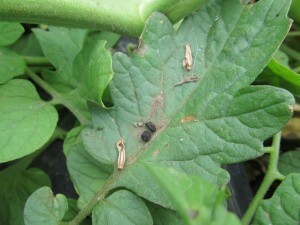 Once you know you have a worm problem, check under the leaves and on the branches of your tomato plants thoroughly until you find the culprits. I pull them off and smash them. If you want a cool science experiment with the kids, keep one in a quart jar about a third filled with dirt and keep feeding it. These worms will bury themselves in dirt to build a cocoon. After a few weeks, they hatch into a LARGE moth (yes, we’ve hatched one before). We’ve also kept a moth we caught and it laid eggs that hatched into super tiny tomato worms which I had to dispose of before they got any grand ideas! So when you’re out visiting your garden, keep your eye open for signs of a tomato worm on your tomato plants and get those bugs off before they eat all of your hard garden work! We had loads of them this season. I had to check for them often and pick them off the plants. They are such interesting caterpillars and the moths that they become are quite beautiful. They also like potatos,My chickens really enjoyed them though. My chickens and guineas LOVE tomatoe horn worms. Have a Yorky dog that hunts for and pulls the lower worms off, then plays with it until it quits wiggling. 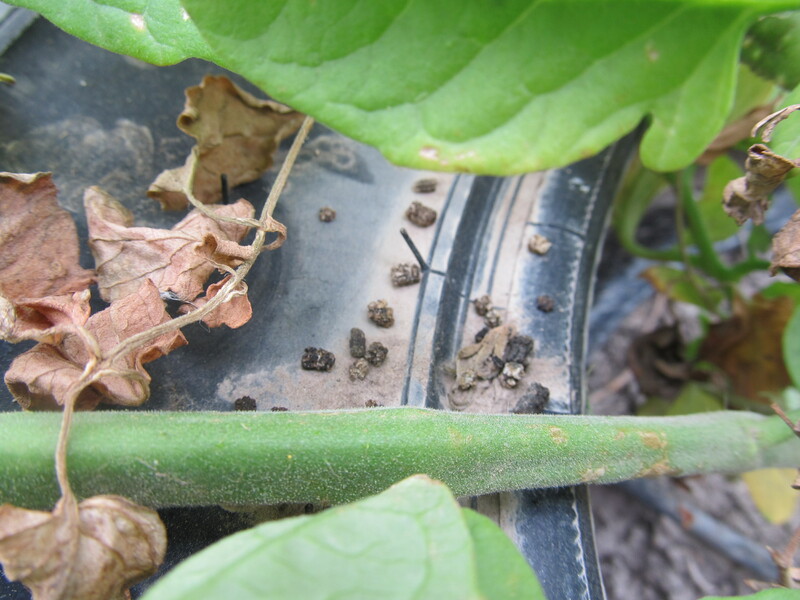 If I don’t have time to find them I use a spray made of hot peppers, dish soap and garlic…the worms fall off the plant when you spray it. When I was little, my mom didn’t have to worry about tomato worms. Every day after school I, and my siblings, would be in the garden looking for them, and potato bugs, to feed to the chickens.